Few state nicknames are as timeless as that of Tennessee’s, The Volunteer State. The title is etched into the state’s license plates, known throughout the nation, and on game day may be spotted on the fronts of approximately 102,455 bright orange t-shirts on the streets of downtown Knoxville… but what the heck does it mean? 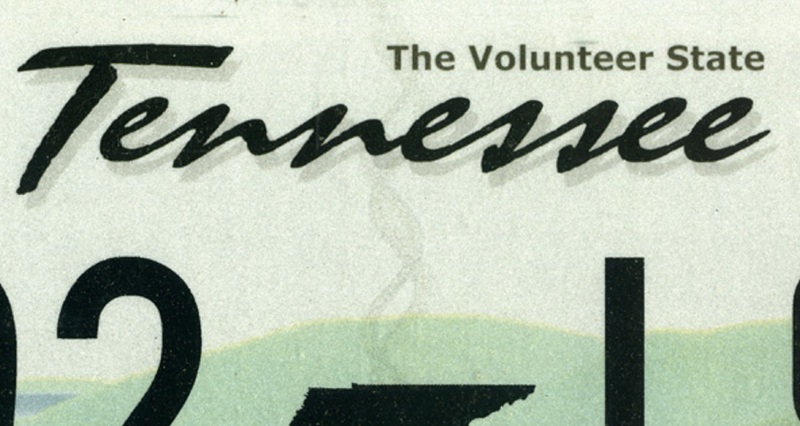 Why is Tennessee called The Volunteer State? Like so many other aspects of history, there is fierce debate regarding this subject. But one thing is for certain – it is because of the willingness of the state’s residents to volunteer for military service. Some historians claim that the state became known as the “Volunteer State,” during the War of 1812 because of prominent role the state’s volunteer soldiers played in thwarting England’s plans to cripple America, especially during the Battle of New Orleans. Though this is a compelling story, especially when on considers that Tennessean Andrew Jackson, “Ole Hickory” himself, was the commander of American volunteers during this epic battle, most who have studied the subject have reached a different conclusion. According to the Columbia Encyclopedia, the nickname was given to the state during the Mexican–American War, during the late 1840s. In the decade leading up to this war, scores of Tennesseans painted GTT (Gone to Texas) onto the front doors of their home and headed to the newly established Republic of Texas. Among these individuals was the American folk hero Davy Crockett. Making good on his promise, Crockett left the state and joined the thousands of other Appalachian-Americans who had made the move to Texas. Sadly, the larger than life American frontiersman would eventually be killed while defending the Alamo. Though the voters had rejected him, the people of Tennessee never forgot Crockett, nor did they ever forget the Alamo. Roughly a decade later, the opportunity to avenge the life of Crockett and so many others against the Mexican government presented itself when Mexican General Mariano Arista was ordered to push American troops back across the Nueces River. These troops then attacked American soldiers, killing 12 American troops and taking 52 prisoners. According to Tennessee History, future President, General Zachary Taylor, dispatched a report to President Polk saying ‘hostilities had begun. The report reached President Polk while he was dining and the President immediately called his cabinet into an emergency session. The following week, a divided Congress agreed that a state of war existed with Mexico. “U.S. Navy Ships immediately moved to blockade the Gulf of Mexico and others in the Pacific moved towards California ports. With a regular standing army of only 8,000 men and General Taylor screaming for reinforcements, President Polk was forced to call upon the states to raise 2,600 men each to supply the American Army in Mexico,” stated Tennessee History. The proclamation went out from Nashville that the federal government needed 2,600 volunteers to assist in the war with Mexico… Within a week’s time, more than 30,000 Tennesseans responded to the call to arms. And it was from this overwhelming show of patriotism that the State of Tennessee not only assisted in winning the outright sovereignty of the State of Texas, but also in securing its lasting title as The Volunteer State. Over a half-century later, the title was solidified in 1902, when the Atlanta Constitution dubbed the University of Tennessee’s athletic team, “The Volunteers” following a football game against the Georgia Tech Yellow Jackets. Three years later, the Knoxville Journal and Tribune began using this name to describe the state’s flagship university’s athletic teams. Now, the Tennessee Volunteers are just as much a part of Tennessee as Davy Crockett… who moved to Texas! Previous articleThe Appalachian Mountains Run Through France!